Service organizational charts help you fins out where to go get the information you need. View and free download service organizational charts to make your life convenient. Organizational chart describes administrative and functional structures of an organization. It helps you find out where to go to get the information you need. 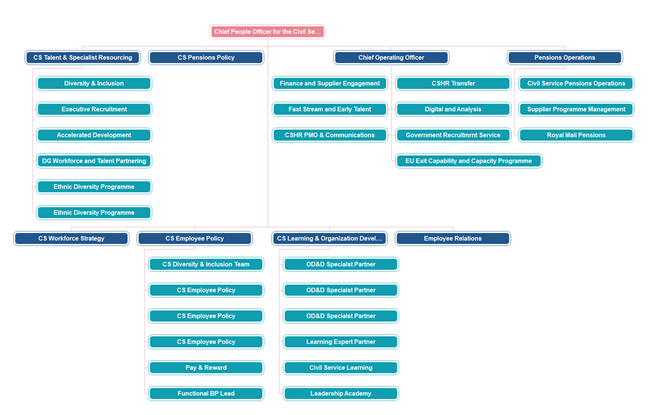 Organization charts consist of boxes represent individuals and their roles and connectors represent their hierarchical relationships. With straightforward tools and wizards in Edraw organizational chart maker, you can easily create up-to-the-minute and easy-to-read org charts and data reports that you can easily edit, format, and share. The following is a typical Civil Service organizational chart for government. Badically, the UK Civil Service division consists of five departments in change of CS Talent & Specialist Resourcing, Chief Operating, Pensions Operations, CS Employee Policy and CS Learning & Organization Development & Design. 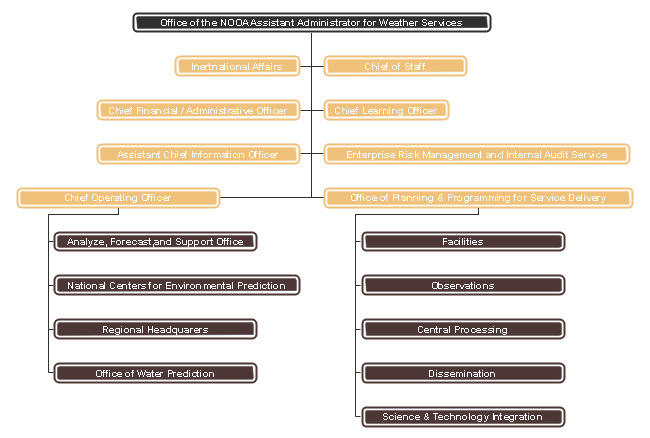 From the weather service organizational chart, we can see that most detailed work on weather is carried out by the Office of Chief Operating. Divisions under the Office of Chief Operating have field offices rather than HQ offices of other divisions. 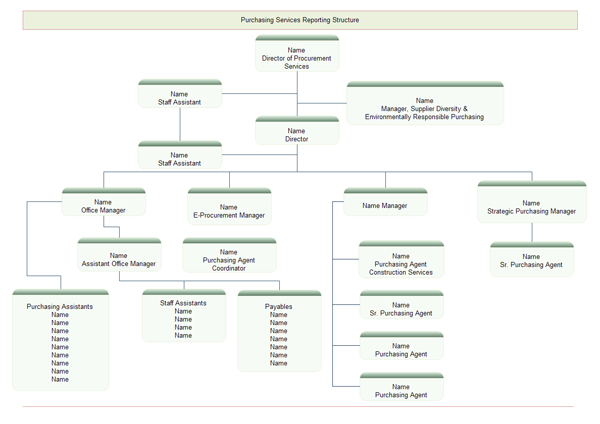 Below is an organizational chart showing structure of hierarchical relationships between people in a purchasing service. The layout style of this example can save much room. It has grouped staff with the same title into one box. Putting all of the people with the same title into one box saves a considerable amount of space compared with arranging each member his own box. Click here to free download org chart software. Then you can make use of the built-in templates to complete and show your Organizational Charts in minutes. Your Ultimate Organizational Chart Software! Enjoy creating Organizational Chart on multiple platforms with this professional software. Download OrgCharting to create org charts and manage company data. Try it today!